Michael Joseph Anderson was born into an acting family in London on 30 January 1920. After appearing in a few films in 1936 he joined Elstree Studios as a production runner, graduating to assistant director by 1938. During the war, while serving with the Royal Signals Corps , he met Peter Ustinov , with whom, after assisting him on School for Secrets (1946) and Vice Versa (1947), he co-wrote and co-directed Private Angelo (1949). The cinematographer was Erwin Hillier , who would go on to make ten films with Anderson before retiring in 1968. After joining Associated British Pictures , and making a number of modest films, Anderson emerged from obscurity with the hugely popular The Dam Busters (1955), which he has cited as his favourite amongst his own films. The film's special effects climax gave the first real indication of Anderson 's leanings towards the spectacular, and it was a clear influence on Star Wars (US, d. George Lucas, 1977) some twenty years later. On the strength of The Dam Busters he was recruited by Mike Todd to make Around the World in Eighty Days (US, 1956), gaining his first international success and an Academy Award nomination. Anderson then returned to the UK and made two films with Richard Todd : Yangste Incident (1957), another true story, this time about the capture of the British frigate 'The Amethyst' by Chinese Communists in 1949; and Chase a Crooked Shadow (1957), a psychological mystery which made the usually heroic Todd come across convincingly as a potential villain. Anderson 's facility for handling suspense led to him being asked to take over The Wreck of the Mary Deare (US, 1959) when Alfred Hitchcock pulled out; and his good working relationship with the film's star, Gary Cooper , encouraged them to work together again on The Naked Edge (1961), where Cooper is shown throughout in an equivocal way, teasing audiences as to whether he is a psychotic killer. In collaboration with Hillier , Anderson allowed his occasionally flamboyant and aggressive visual style full reign, in a film that was clearly a big influence on the Italian giallo films. Anderson , Hillier and Richard Todd were re-united on Operation Crossbow (1965), another wartime story which, like The Dam Busters , looked at the development of a new type of bomb, and which made heavy use of special effects, especially in the film's fiery climax. Operation Crossbow suffers from too many stock characters and a muddled plot, but its successor, The Quiller Memorandum (1966), is quirkily original. Anderson had lived in Germany as a child and Hillier had trained at UFA studios in Berlin and worked on Fritz Lang 's M (1931). They work together productively to present Berlin in a uniquely knowledgeable way as the setting for this offbeat tale of espionage and Nazi resurgence. 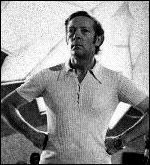 Subsequently Anderson emigrated to Canada and has only occasionally returned to the UK, most notably for the courtroom drama Conduct Unbecoming (1975) and for another psychological thriller, Dominique (1978). He has continued to work in the US and Canada, in many different genres, for both TV and cinema, his most recent film being the 1999 children's fantasy The New Adventures of Pinocchio .